For many years now, the Festival services have been sung by three separate choirs. They are the Nave Choir, consisting of 16 boys and 12 men from Cathedral and Collegiate choirs directed by Matthew Martin; the Consort, a mixed –voice group numbering about 16 adults directed by Jeremy Summerly; and the Schola Cantorum, a group of 12 men singing exclusively plainsong, and directed by Peter Stevens. The three choirs complement each other, and there is very little overlap of repertoire styles between them. The basic pattern of worship consists of four services each day; Matins, Solemn Eucharist, Evensong and Compline. All three choirs sing at the central service of the Eucharist, while Matins and Compline (by candlelight) are sung by the Schola. The three choirs also combine to sing for the annual live broadcast of Evensong on BBC Radio 3 on the Wednesday of Festival week. Anyone who has heard the broadcast will testify to the beauty of the singing – a high standard of music-making achieved after only three days of the festival. 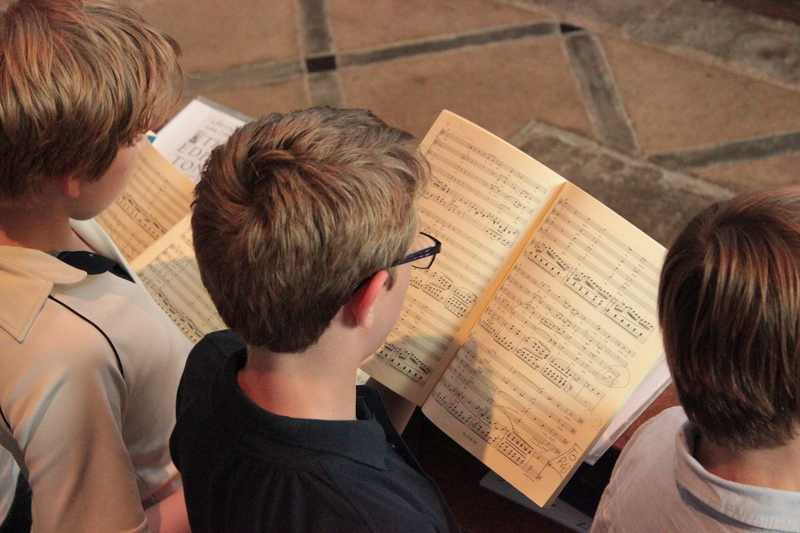 There is a huge amount of music to be learnt in the course of the week, and it is a great tribute to the combined musicianship, talent, expertise and skill of all concerned that the musical sections of the services are interwoven seamlessly into the liturgy, into the context for which it was written, producing ‘beautiful artistry to the glory of God’.